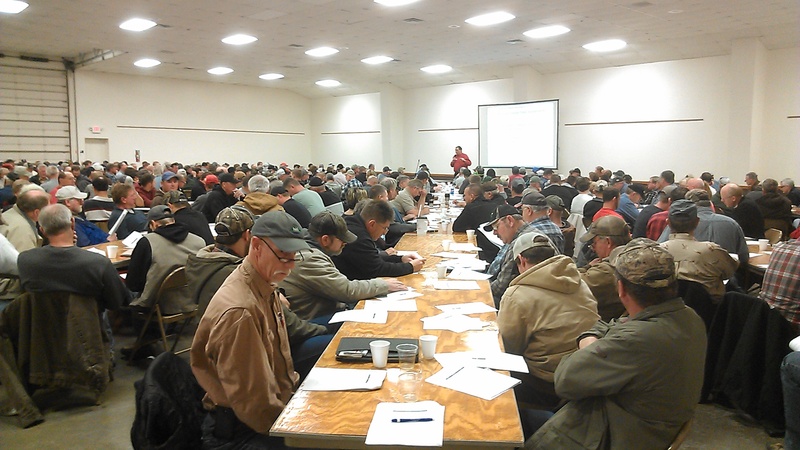 Well-attended Farm Bill informational meetings in December throughout the State. Tis the season for winter programming! The following are a few upcoming meetings occurring this week. Winter program brochures were mailed a few weeks ago, so please check those for additional meetings. Looking forward to seeing you at upcoming meetings this winter! A reminder that if you plan to attend any of the upcoming Crop Production Clinics, that you need to register online by 3:00 p.m. the previous day of the clinic. Crop Production Clinics this week will be held in Kearney on Tuesday the 13th and at York on the 14th. Farm & Ranch Business Succession & Estate Planning Workshops: This is a very important topic for farm families to consider! Two workshops will be held in our area; one in Blue Hill at the Community Center on January 13th and one in York at the Country Club on January 15th. The workshop will go from 9:00 a.m. to 2:30 p.m. There is no charge for the workshops, but you need to register by calling the Rural Response Hotline at 1-800-464-0258. Please register by January 10 for Blue Hill and January 12 for York. The workshop is intended to be useful for established farm and ranch owners, for their successors, and for beginners. Topics include: the stages of succession planning, contribution & compensation, balancing the interests of on-farm and off-farm heirs; the importance of communication, setting goals, analyzing cash flow, and balancing intergenerational expectations and needs; beginning farmer loan and tax credit programs; the use of trusts, wills, life estate deeds and business entities (such as the limited liability company) in family estate and business succession planning; buy-sell agreements, asset protection, taxation (federal transfer taxes, Nebraska inheritance tax, basis adjustment), and essential estate documents. Presenters are Dave Goeller, Deputy Director, Northeast Center for Risk Management Education at UNL and Joe Hawbaker, Agricultural Law attorney from Omaha. This workshop is made possible by the Nebraska Network for Beginning Farmers & Ranchers, the Farm and Ranch Project of Legal Aid of Nebraska, National Institute of Food and Agriculture, the Nebraska Department of Agriculture’s Farm Mediation, and the University of Nebraska Extension. More information can be found here. Farm Bill Education Training January 14th: For those of you that would like to learn more about the Texas A&M Agricultural Food Policy Center comprehensive Farm Bill Decision Aid computer program, a hands-on training will be held Wednesday, January 14, 2015 at the new Nebraska Innovation Campus Conference Center, 2021 Transformation Drive in Lincoln, Nebraska. Workshop presenters will be Dr. James Richardson, Ag. Economist from Texas A&M and Dr. Brad Lubben, UNL Extension Ag. Economist. Dr. Richardson is the author of new, cutting edge, computer decision tool, endorsed by USDA. Those attending will learn how to use the Texas A&M Computer Decision Aid, how to interpret the results and how managing risk is integrated into the model. Participants are encouraged to bring their own iPad, tablet or laptop computer. For information about the workshop go to: http://bit.ly/1wh96bm. Participants need to pre-register at http://go.unl.edu/farmbill. The workshop will be from 9:00 a.m. to 4:00 p.m. with morning registration and refreshments available starting at 8:15 a.m. at the new NIC auditorium. There is a $30.00 registration fee which includes the noon meal, refreshments and meeting materials. Web links to the meeting can also be purchased by contacting the Saline County Extension Office at (402) 821-2151. For additional information about the farm bill go to: http://farmbill.unl.edu. Next Heuermann Lecture will be Jan. 13th at 7:00 p.m. at Nebraska Innovation Campus (2021 Transformation Drive in Lincoln, Nebraska) on the topic of “Genetically Modified Animals: the Facts, the Fear Mongering, and the Future”. Presenter will be: Alison Van Eenennaam, University of California – Davis, 2014 Borlaug CAST Communication Awardee. For more information, go to: http://heuermannlectures.unl.edu/. If you cannot make it to Lincoln, you can watch it live via video at the website link.